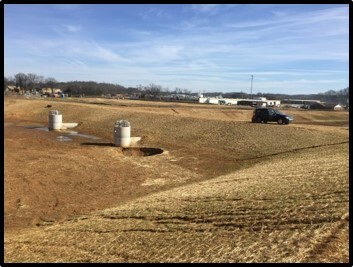 In January 2015, one of our clients used AGI tools and software for leak and sinkhole detection in the liner of a retention pond in Tennessee. Our client’s customer had a retention pond that was designed to hold liquid, but it was leaking through a hole in the liner. 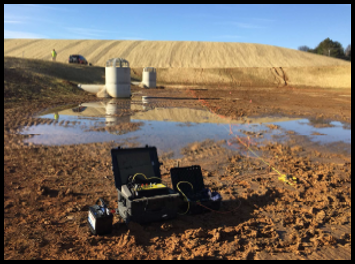 The client used the SuperSting™ R8 with 112 total electrodes arranged in a 4-by-28 electrode 3D grid with 16-foot-by-eight-foot spacing to map electrical conduction and locate the spots of leakage and an anomaly, which turned out to be a sinkhole. 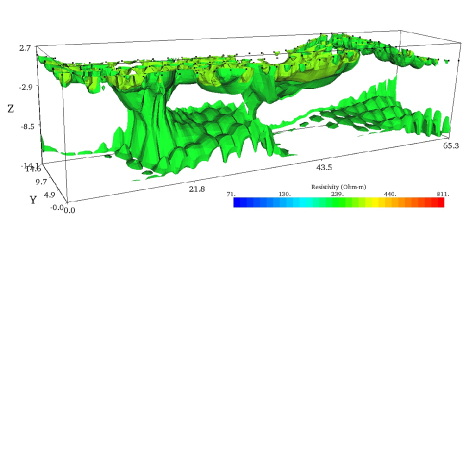 The subsurface extent of a known sinkhole as well as an unknown sinkhole or zone of active leakage were imaged in 3D. The client learned that the features extend through a surface clay layer and into the underlying higher porosity limestone. 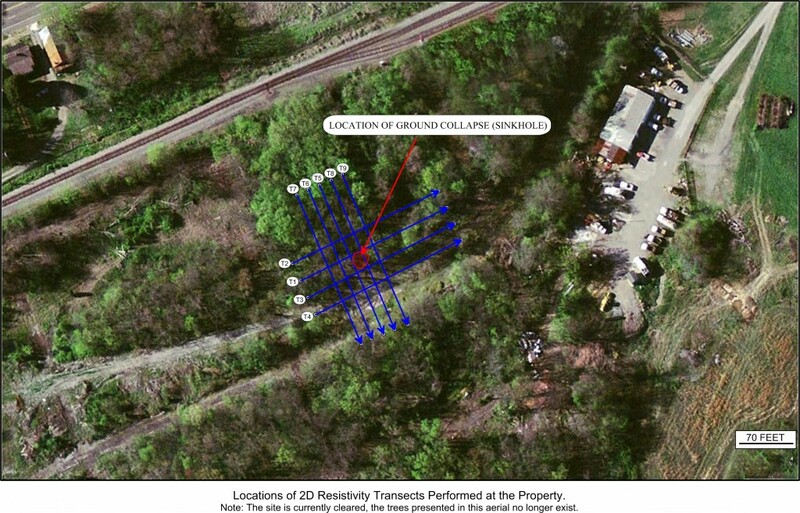 AGI’s electrical resistivity tools and software help clients learn not only how to identify a sinkhole, but also give them precious data they can use to actually see what’s going on underground. In this case, the client could see where leaks were and where another previously undetected sinkhole was located. With that information, they could identify the location of the holes in the liner precisely and go in and repair. They could also avoid areas of the now detected sinkhole—thereby saving money and protecting equipment. 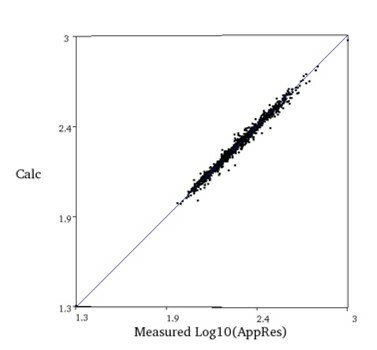 In addition to scanning for leaks, AGI’s tools are a cost-effective, incredibly accurate solution for clients in every industry from gas and oil exploration to mining, geotechnical investigation, groundwater exploration, archeology, and beyond. Courtesy of Eric Cross at Pyramid Environmental and Engineering P.C.